Lutherans For Life | How Can Dying Be Gain? How Can Dying Be Gain? How do we live our life and always remember that although our bodies will die, our souls will live eternally? What did the author of Philippians mean when he wrote: “For to me to live is Christ, and to die is gain” (Philippians 1:21). How can dying be gain? You and I know about dying. People we love die. People we hear about in the newspaper and on the news die. Almost all of us have someone we cared about who has died. Dying surrounds us. Sometimes it’s sudden and unexpected and other times it is after a long, difficult illness. But what about death? Death is still the greatest mystery. God gives us a glimpse of what happens after death, but doesn’t tell us everything. But what He does share indicates that those who have faith in Christ go to heaven after they die. The Bible says we will die, yet we will live and that when we die we pass from death to life (John 11:25, 5:24). Because I had two grown sons pass away, I frequently have people ask me questions about death and dying and how our family is dealing with the deaths of our beloved sons. The grieving process is a difficult and ongoing one. A relative called me recently and said, “I just don’t understand, Kay. Will I see my loved ones in heaven? I know the Bible says we will be with God in heaven after we die because of Christ’s suffering and death, but what about the people I love who already died? I really want to see my mom and dad again. Will I see them? And will I know them?” I told her that God’s Word does indicate we will see and know our loved ones in heaven. Another question that I have been asked is, “How can I prepare my children for the death of a loved one?” Years ago children and youth were exposed to death much more than they are today. Today, many parents try to hide death from children and youth. I encourage parents to take their children to a funeral parlor when someone you know dies that they don’t know well. Don’t allow the first time they see someone dead to be a loved one they care about. You must decide when they are old enough to go with you. Probably not when they are very young, but by the time they are seven to nine years old they can begin to understand more about death. Sometimes they are curious and will ask questions after seeing someone in the casket. Explain again the message of the Gospel of Christ that although our bodies die, our souls continue to live on eternally—and that when we have faith in Him, we too will go to heaven. Allow them to ask questions about death. So, may I encourage you to talk to your children, grandchildren, and others you know about living with dying? It’s important that we do this. It offers us another opportunity to tell the next generation about the wonderful works of the Lord. God’s word is full of advice for us on how to live our life in today’s world. It tells us to be content with our life. 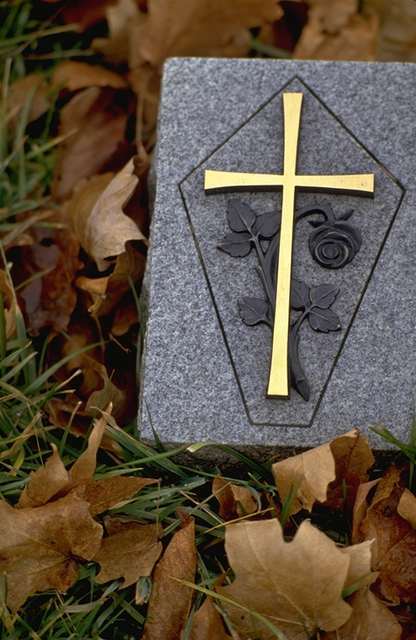 As we consider living with dying, one thing we like to encourage supporters to think about is remembering Lutherans For Life in their will or estate. We have a Life Legacy program that recognizes all who notify us that they have put LFL into their will or estate. If you need assistance, please contact me at . Another way you can support LFL is through the recurring membership gift program. An estimated 160 individuals and families send LFL a monthly or quarterly gift through this program annually. Recurring gifts help LFL have the funds we need all year round. You can donate online or use the envelope in LifeDate. When you send your gift, we encourage you to also say a prayer for LFL, Dr. James Lamb, and other LFL leaders. All of us want to hear these words from the Lord when we die: “Well done, good and faithful servant. You have been faithful over a little; I will set you over much. Enter into the joy of your master” (Matt. 25:21). “But godliness with contentment is great gain, for we brought nothing into the world, and we cannot take anything out of the world … As for the rich in this present age, charge them not to be haughty, nor to set their hopes on the uncertainty of riches, but on God, who richly provides us with everything to enjoy. They are to do good, to be rich in good works, to be generous and ready to share, thus storing up treasure for themselves as a good foundation for the future, so that they may take hold of that which is truly life” (1 Timothy 6:6-7; 17-19).